But it’s not Google’s first major investment in home automation products. That involved a company that had been successfully selling similar projects, but appears to have put new sales on hold while they developed new ones. The company was 3vNet, and their home page states that they will not be selling any new products after April 2013. The story, 3vNet To Phase Out As CEO Forms New Company, published on April 8, 2013, tells about a decision to rebrand 3vNet and start over on the products they had been making. Another story published on the same day, Interview: Why Mike Anderson is Closing, Reinventing 3vNet, provides some other details. 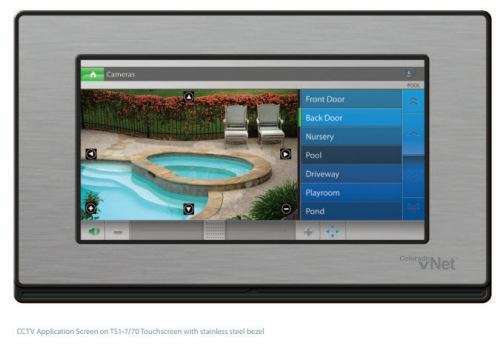 Former Russound executive Mike Anderson bought Colorado vNet from his former employer one year ago, but he is closing that business, now called 3vNet, and reinventing the home automation technology under a new company called Automated Control Technology Partners, Inc. (ACTP) … not 4vNet. The patent filings show that 3vNet assigned the patents originally to Automated Control Technology Partners, Inc., which then assigned them to Google in August. There are a lot more patent filings involved in the Nest purchase, but I thought it might be interesting to share the 3vNet patent filings, since that transaction appears to have been lost in the path Google is following to home automation. Perhaps Google felt the same way as the former CEO of 3vNet, and thought that it needed different products. It’s hard to say if this earlier patent purchase was a misstep, or if it makes Google’s foray into this field stronger than if they had purchased Nest to begin with. I haven’t been able to find any financial information related to this earlier transaction, but if Automated Control Technology Partners is building new technology to replace their 3vNet technology, maybe the transaction has helped fund their research towards that goal. If you want more details on any of these, you can use the USPTO search page with granted patents on the left, and published patent applications on the right. Google just bought itself a first-class ticket into your home, something it has unsuccessfully been trying to do for years. Google has been gearing up for this moment since 2009, when it launched its web energy management tool PowerMeter. I always wanted to show a house and walk in and see the Nest system in there or something. I can’t wait until I am rich enough to buy the Nest system. I commented on Google’s purchasing antics yesterday with Waze – $3 billion. Is their marketing scheme simply to buy potential competition out by slinging a few billion in some company’s direction? It’s quite alarming, really. This is interesting — Nest is the one that made the news, but the fact that they’ve had other purchases like this one has gone largely under the radar. The other big one was Google buying Boston Robotics, which may not be home automation but definitely contributes to their hardware capabilities. Pretty fascinating what they’re doing as they purchase some of these companies. Home automation is still very fragmented not to mention the bunch of different protocols that exist. I think it is up to a big player like Google or Apple to bring some order to that and create a consumer ready eco system that is easy to setup. Of course Google will get even more information about you but ok that is another topic. Next Next post: Will Keywords be Replaced by Topics for Some Searches?